Princess Anastasia Clementina Lanagoob is a rather unfortunate girl, for a princess. Despite her father's best efforts to gain an honor debt for his daughter's christening, not a single Fairy Godmother showed up. With no bonuses in grace, beauty or any other princessly attributes, she's seen by most as a downright ordinary. Bella Fugglecups (as the princess knows her) is on a mission. Disguised as a jester, it is her mission to fulfill her mother's debt. But with only her Child Wishes at her disposal, it will be a difficult task indeed. And when an earth dragon crashes High Tea, things get interesting indeed. Gail Carriger has moved away from short stories in recent years, favoring the more lucrative novel format. 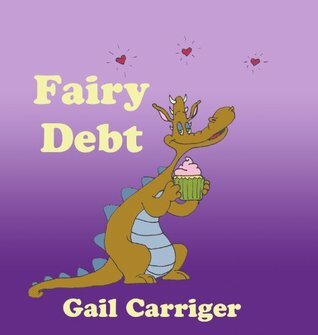 She's hardly lost the knack of endearing the reader to a group of characters in a few short pages, though, and 'Fairy Debt' is a confection perfectly prepared for fans of her most humorous writing. Highs: If a princess can't be beautiful or graceful, at least she can be humble and good to her subjects. Lows: Household-related magic seems like it ought to be more of a Brownie talent than a Naiad talent to me. Verdict: 'Fairy Debt' is a short, sweet story reminiscent of some of the goofiest scenes of the Parasol Protectorate books. Manga Monday: Let the wedding celebrations begin! Laila and Leily finally begin their journeys with their new husbands in A Bride's Story Volume 5. 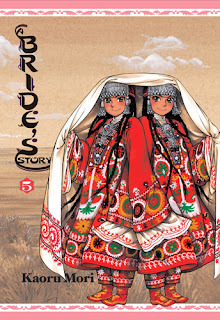 Note: A Bride's Story Volume 5 is part of an ongoing series. Check out the review for Volume 1 here, and Volume 4 here. Otherwise, read on!